If there are doubts regarding the configuration of the Latin American field, they often arise from its presumed protagonists. For example, the recent appointment of the Spanish-born Iria Candela (previously the curator of international art at Tate Modern) as the curator of Latin American art at the Metropolitan Museum of Art in New York caused a minor social-media protest. On July 11, the Mexico City–born and UK-educated curator Pablo León de la Barra tweeted: “A shame that @metmuseum didn’t select a curator from Latin America to be curator of Latin American art! #missedopportunity.” Although Latin American art might have consolidated into a recognizable, tenable object of study, León de la Barra’s objection to the Met’s hire serves as a reminder that this object remains mercurial and malleable, subject to redefinition and reconfiguration. As a consequence, the power struggles over its constitution continue. In this context, Fox’s meticulously researched book has a particular relevance, as it illuminates the pertinence of policy to the construction of an object of art at the intersection of often contradictory political, economic, and social interests, beyond narrow parameters of art history or museum studies. Making Art Panamerican is an insightful study that scrutinizes the operations of the Pan American Union (PAU). PAU was a transnational agency that shaped the object of Latin American art during the crucial period of the consolidation and hegemonization of US modernism after World War II, yet has been critically overlooked within the field. PAU was conceived following a series of hemispheric conferences in 1889–91 and permanently seated in Washington, DC, in 1910. After the creation of the Organization of American States (OAS) in 1948, PAU became its general secretariat, effectively devising and enacting the OAS’s cultural policies. Since 1948, PAU’s Visual Arts Section—an unrivaled force among US-based institutions—was led by the Cuban-born curator and critic José Gómez Sicre (1916–1991), a protégé of the MoMA’s director Alfred H. Barr Jr. Under Gómez Sicre’s leadership, it singularly constructed the Latin American field for nearly two decades. Its far-reaching influence was largely based on Gómez Sicre’s militant anti-communism, typical of the divisive Cold War politics of the time; consequently, the activities of the PAU Visual Arts Section remained grossly understudied. Making Art Panamerican seeks not only to fill in this crucial omission but also to go beyond the binary schemes that have shaped most scholarship on Cold War politics and culture. With this goal in mind, Fox employs innovative methodology aimed at both macro- and micro-analysis of cultural policy. Building on the pioneering scholarship of Toby Miller and George Yúdice—especially on Yúdice’s book The Expediency of Culture: Uses of Culture in the Global Era (Durham, NC: Duke University Press, 2003)—Fox casts institutions not simply as omnipotent abstract sites of Foucauldian biopolital power, but rather as loci of constant mediation carried out by concrete agents. In the case of PAU, these agents are the scores of mid-level administrators and, most notably, its director, Gómez Sicre. Mining numerous archives, Fox excavates multiple traces of the crucial interventions of these intellectuals and bureaucrats. Thus she locates both unexpected constants and subversive transformations of the policies that span from the Good Neighbor Policy (1933–ca.1945) to the Alliance for Progress (1961–73), to the present post-NAFTA era. In chapter 1, “Art Enters the Union,” Fox traces the institutional and policy foundations laid out for Gómez Sicre’s Visual Arts Section during the early years of PAU’s cultural initiatives. While the role of Nelson A. Rockefeller in triangulating among his own Office of Inter-American Affairs (OIAA), the PAU, and the MoMA is well known, Fox pays close attention to the involvement of several administrators at the PAU: the Mexico-born Concha Romero James (1900–1987), who served first as an assistant chief and later as a chief of the Division of Intellectual Cooperation; her staffer the American musicologist Charles Seeger (1886–1979), the chief of the Music and Visual Arts Division; and Leslie Judd Switzer (1915–2013), the former assistant to the MoMA’s Barr, who preceded Gómez Sicre at the PAU from 1944 to 1945. The scrutiny of their career trajectories serves a dual purpose. It demonstrates how particular policy directives emerge as a result of the confrontations and negotiations between the power elites and “vernacular intellectuals” (45). It also highlights the roots of the practices spearheaded by Romero James and Seeger in the years before World War II in the cultural policies of postrevolutionary Mexico, namely the interests in identity, mass education, and the expansion of artistic publics. A long section dedicated to Gómez Sicre’s formative experiences in his native Cuba and in the United States seeks to explain his life-long insistence on the separation of art and politics and his deep-seated aversion to broadly understood social realism. A case in point is his 1943 polemic with the celebrated Mexican muralist David Alfaro Siqueiros (1896–1974) and the hostile reception and subsequent destruction of Siqueiros’s small mural, Alegoría de la igualdad y confraternidad de las razas blanca y negra en Cuba (Allegory of Equality and Confraternity of the Black and White Races in Cuba), painted in 1943 for the Havana residence of María Luisa Gómez Mena, patron of avant-garde artists, the commission of which Gómez Sicre facilitated. Regardless of this animus, Fox argues that Gómez Sicre sought to merge his adherence to the aesthetic universalism espoused by Barr with Romero James’s culturalist perspective. To this end, the regional consciousness would be constructed by the means of systematic “data accretion,” according to “the organizing principle of the filing cabinet and the archive” (62). In chapter 2, “El Arte Que Progresa,” Fox seeks to establish links between modern art (as Gómez Sicre conceived it), forging of a new regional-continental consciousness, and the emergent theories of modernization. To this end, she analyzes two of Gómez Sicre’s early curatorial projects: Exposición Interamericana de Pintura Moderna (Inter-American Exhibition of Modern Painting) at the Museo de Bellas Artes de Caracas, which celebrated the inauguration of the first Venezuelan president elected through universal suffrage, Rómulo Gallegos (1948), and the traveling show 32 Artistas de las Américas, which toured eleven Latin American countries (1949–50). These projects were realized in the wake of momentous geopolitical transformations, which ushered in the creation of the Organization of American States (OAS) in 1948, subsuming PAU as its central branch in Washington, DC. Simultaneously the Red and Lavender Scares purged both US and transnational organizations of progressive intellectuals associated with the New Deal era. It was during this tumultuous period that Gómez Sicre worked out his curatorial credo. On both practical and ideological levels, he brought to the fore corporate sponsorship. Free trade of common goods—like those sold by the United Fruit Company and distributed by the Grace Line shipping firm, which sponsored 32 Artistas—would have its parallel in free circulation of the arts. Similarly, the transnational economy would have its equivalent in hemispheric identity. As Fox maintains, Gómez Sicre went as far as to capitalize “on corporate multinational profiles in an effort to downplay national designations while foregrounding regional and transnational ones” (109). Further, Fox maintains that Gómez Sicre’s insistence on the regional “art that progresses” to achieve parity with the art of the North inspired a universal framework and measures for global economic development promoted by the modernization theorists. In chapter 3, the author focuses her examination of policy on the evolution of the relationship between Gómez Sicre and his arguably most important Mexican protégé, José Luis Cuevas (b. 1934). Cuevas serves here as an embodied epitome of Gómez Sicre’s ideal protagonist of Latin American art—that is, a young, irreverent artist, whose brash modernist aesthetics would renew and rejuvenate his stale official national culture.2 Indeed, among many “young artists” whose international careers the PAU Visual Arts Section helped to launch, Cuevas provides an especially juicy case study because of the long-term arrangement whereby his mentor Gómez Sicre served as ghost-writer for his texts. A minute analysis of “Cuevas’s” writing and his self-conscious positioning as a public intellectual illuminates his ingenious maneuvering between the national and international realms. Not only was Cuevas’s reception quite distinct in Mexican and Pan American contexts, but the artist effectively circumvented the institutional framing of his work, whether by the local Instituto Nacional de Bellas Artes (National Institute of Fine Arts) or by the international PAU and Gómez Sicre. Moreover, he consciously fashioned himself for different audiences, in time increasingly relying on new, experimental modes of artistic production, such as the Happening and performance, in order both to garner the attention of the mass public and to keep up to date with the emerging transnational countercultural trends. In fact, in the late 1960s Cuevas’s embrace of popular and mass-culture-derived genres precipitated his professional falling-out with his more traditionalist mentor. Nonetheless, as Fox shows, the agendas of the two converged when it came to reconfiguring the mode of artistic consumption—away from the collective public envisioned by Mexican muralism to a private individual. The final chapter, “The Last Party,” is dedicated to the 1968 World’s Fair held in San Antonio, Texas, HemisFair ’68, which coincided with the OAS’s loss of political credibility in the region and the decline of the PAU’s influence on the Inter-American cultural sector. Regardless of the greater geopolitical dynamics, the fair garnered the unprecedented support of Mexican officials who sought to capitalize on the parallel spectacular event, the Olympic Games of 1968. Likewise, the fair’s visual arts programs signaled the return to the models of postrevolutionary Mexican public art and policy, albeit supported by the state-corporate partnership funding model developed by Gómez Sicre. As consultants to the fair in its planning phases (1964–67), Gómez Sicre and his immediate supervisor, PAU’s Argentine director of cultural affairs Rafael Squirru (b. 1925), decisively shaped the organization and layout of the fair’s OAS Pavilion, as well as other visual displays, including large-scale outdoor sculptures, commissioned murals, and more interactive, participatory, and populist attractions. The HemisFair ’68, an utter commercial disaster, was vastly overshadowed by the turmoil of 1968. Fox uses it, however, to reveal how the developmentalist ideology focused for decades on Latin America shifted toward the inner cities of the United States, inhabited by ethnic minorities including US Latinos. If, in an adaptation of the official Mexican paradigm of mestizaje, at the HemisFair US Latinos were cast as a perfect intercultural hybrid between previously incommensurable Latin and Anglo-Saxon Americas, they were also practically excluded as participants in the event. As Fox convincingly argues, this paradox serves as a limit case of the struggles over liberal citizenship and representation. Fox’s impressive, nuanced analysis is enabled by her diligent engagement with the archives, some of which only recently became available to scholars. Paradoxically, this long-term relationship with the sources also constitutes the blind spot of her study, in particular, and the challenge to traditionally practiced scholarship, in general. In a way, Fox seems to uphold a utopian and rather positivist view on archives as all encompassing, infinitely expandable, and exhaustive spaces.3 To this end, she fails to associate the logic of the archive with what she rightly recognizes as the “constitutive exclusions of liberalism” (212). As a consequence, she ignores the crucial problem of their place of constitution—for the purpose of Making Art Panamerican she has almost exclusively relied on the collections in the United States. Even though Fox investigates transnational policies implemented by a transnational agency, her point of enunciation is constructed on discursive materials assembled at and by the loci of effectively unparalleled powers concentrated between Washington, DC, and New York (albeit they might have been infiltrated by the subversive, liberatory strain of latinoamericanismo). This is not to dismiss Fox’s titanic effort but rather to suggest that the model of a solitary scholar poring over endless square feet of archival materials might simply not suffice to account for the operations of an agency with an unprecedented hemispheric reach. Instead, investigation of an entity such as PAU calls for a sustained, long-term international collaboration, the results of which would be articulated from multiple, diverse viewpoints. In turn, a demand of this sort poses the challenge to academia that continues to justify itself within state-regulated educational systems. 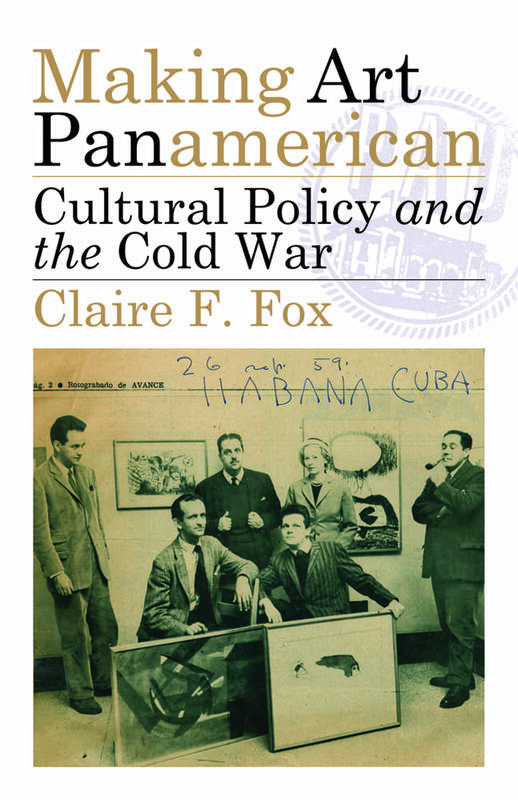 Specifically, my call for multifocal research matters to the extent that Fox’s argument for revisiting the PAU’s programs is their influence beyond the United States, in the areas that Gómez Sicre carefully targeted. The PAU Visual Arts Section selectively intervened in the countries that lacked strong institutional scenes or that upheld official social-realist or indigenist aesthetics—that is, in Central America and the Northern Andes (Venezuela, Colombia, Ecuador, and Peru). Conversely, with the exception of Mexico, Gómez Sicre avoided the nations with robust cultural landscapes shaped by influential and sophisticated critics, such as Argentina and Brazil. Due to the particular emphasis of Gómez Sicre’s impresarial activities, it is disappointing that almost all of the Fox’s cases are either directly drawn or closely related to Mexico (including the paradigmatic Latin American “young artist” Cuevas and HemisFair ’68 in San Antonio). What is at stake here is not so much a confirmation of the stereotypical assumption that in the United States “Latin American” is synonymous with “Mexican,” but rather the questions of a relationship between international and national cultural policies, their respective roles and spheres of influence, and the long-term effects of Gómez Sicre’s curatorial and entrepreneurial endeavors. The stable of artists who had their international debuts at PAU and thus became established figures in the canon of the mid-century Latin American art—Alejandro Otero (Venezuela, 1921–1990), Fernando de Szyszlo (Peru, b. 1925), Fernando Botero (Colombia, b. 1932), Alejandro Obregón (Colombia, 1920–1992), and Cuevas, to name the most representative ones—is conspicuously absent from the recent US and Western European surveys of the continent and lacks serious scholarly rereading.4 In contrast, the Latin American field is mostly constituted by the hemispheric cultural powerhouses with their own historically strong institutions and policies (Brazil, Argentina, and Mexico), on the one hand. On the other, it is dominated by the constructivist geometric canon, utterly foreign to Gómez Sicre.5 This fact poses a number of scholarly challenges that beg to be pursued. First of all, it suggests a complex relationship between aesthetics and policies that Fox tends to skim. In other words, the question is how certain artistic tendencies gain prominence and visibility over others, and to what ends. 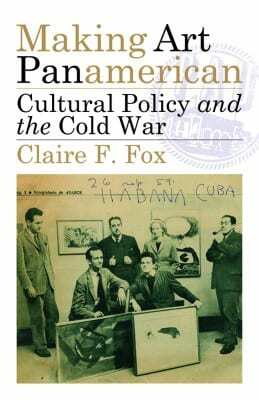 If Fox is correct that the policies driving the constitution of the Latin American field in the United States in essence have not changed, contemporary historians should be wary of the optimistic, celebratory tone associated with the turn away from the fantastic, ethnographic, and exoticizing visual paradigm of the 1980s toward abstraction and conceptualisms championed from the 1990s onward. Perhaps even more important, unresolved tensions and inequalities within the Latin American field itself—whether invented by the hegemonic Pan-Americanism representing US interests or by the resistant Bolivarian latinoamericanismo—should encourage both serious scrutiny of the power relations beyond the North-South binary and an investigation of the field’s persistent exclusions. political context of Lima between 1979 and 1989. This review originally appeared in the Winter 2014 issue of Art Journal.